Interesting facts about strawberries include anti inflammation. 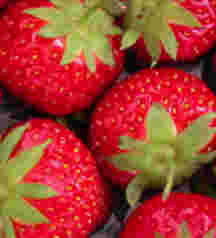 Interesting facts about strawberries include prevention of inflammation in the body, and protection against eye disease. This page was updated on 31st March, 2019 by Dr Barrie Lewis DC. Delicious, proven prevention of malignant disease, arthritis, blindness and heart illness. What more do you want? I have raved on many times on this website about the value of coloured foods, in particular red foods, but actually all fruit and vegetables, in protection against disease. The anti cancer properties of a fruit so researched. Thus it comes as no surprise that the benefits of strawberries include that they are rich in a group of substances called phenols that have potent anti oxidizing properties. Research done on a group of 1000 elderly persons reveals one of the most interesting facts about strawberries; those who regularly ate these delicious berries were three times less likely to get cancer. Particularly important antioxidants in strawberries are the anthocyanins, vital for cellular health. What is perhaps more relevant to the chiropractic patient, is that these phenols also block a nasty substance in the body called a cox enzyme, that is at the forefront of arthritis. You may have heard a few years ago about a group of ‘wonder drugs’ called cox inhibitors, they even called one celebrex to celebrate the end of arthritis and another vioxx that held so much promise. “This is the end of arthritic pain”. 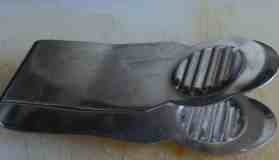 Until it was discovered that they had very severe side effects, and I believe most have been withdrawn from the market. They caused a lot of heart attacks and bleeding ulcers. But you can block cox, cyclo oxygenase, by simply eating strawberries with no adverse effect on your heart. In fact, people who eat strawberries have been proved to have less heart attacks too. Kaempferol and cancer prevention is the subject of much research; it's one of the flavonoids that are found in abundance in strawberries. They have the ability to neutralise free radicals produced in the body. There are thousands of flavonoids; they give our foods the bright colours. Their unique property is as anti inflammatory and anti oxidising compounds; hence their particular interest to chiropractors. Including bright foods daily in our diet is one of the reasons why interesting facts about strawberries includes much less arthritis. And it's not just kaempferol and cancer prevention but all flavonoids; those who enjoy eight or more coloured foods every day have one third lower all cause of death. That's massive. Best of all for those counting calories in strawberries. Only 45 cals per cup. A deficiency of vitamin C and arthritis are closely linked. Interesting facts about strawberries are delicious, proven cancer, arthritis, blindness and heart disease prevention; what more do you want? Highly regarded medical journals report strong research that people who eat vitamin C rich foods are three times less likely to get arthritis. One cup of strawberries contains more than the recommended daily allowance. We would pay big money for a drug that that reduced your likelihood of getting arthritis by a factor of three, with no nasty side effects! Strawberries nutrition facts are truly amazing. Moreover, interesting facts about strawberries and their anti cancer and anti-arthritis properties, reveal that the strawberry's richest component is Vitamin c.
It has been shown so many times that synthetic vitamin c, ascorbic acid, has detrimental properties. Why? We’re not sure, but probably because in nature to don’t find vitamin c all on its own; it comes mixed in with a heap of other nutrients like bioflavanoids and phenols. Don’t take synthetic vitamin c; eat gourmet strawberries! And maybe top up with a good quality natural vitamin supplement. The nutritional value of strawberries is that they are also rich in many other vitamins and minerals, particularly folic acid and manganese. In general we all should eat more fruit. Enjoying three helpings a day, and making it as diverse as possible, lessens your chance of arthritis, cancer and a heap of other diseases. In any case, they’re so delicious. But other benefits of strawberries, in particular, are for your eyes; the lutein macular degeneration link is now well proven. Research in the archives of ophthalmology proves that persons eating foods rich in vitamin C, not ascorbic acid pills, are 3 times less likely to get macular degeneration, the main cause of poor eyesight in the elderly. All the interesting facts about strawberries seem to come in threes. Preserving strawberries is a cinch. Clean them and freeze them; full stop; however as noted above, there are question marks about frozen fruit. Are they worse than no strawberries at all, out of season? One great fact about their low calories is that they fit perfectly in with our close to zero starch diet plan for weight loss. Here are some more interesting facts about strawberries. They will not ripen after picking so select fruit that is bright red; they are the sweetest and should be be plump and shiny. Don't pick any that have green or white near the stem. Any that are a dark red colour should be eaten without delay as they will soon go mushy and spoil. Wash them just before serving by putting them in a colander and briefly running cold water over the bowl. Don't rinse out the juices and don't soak them. A favorite way to hull a strawberry is to insert a drinking straw into the bottom of the fruit. The leaves will slide right out but you lose out on the core which is also rich in goodness; waste not for appearances. I prefer this destalker; it's so easy. Overweight? Step one is to calculate your body mass index. No point being an ostrich; just how serious is your weight problem? Find out by clicking here; CHIROPRACTIC HELP Obesity in the Chiropractic Clinic. Strawberries as noted above are helpful in the prevention of age related blindness that affects five million Americans; it's the lutein macular degeneration link that confirms why strawberries and many other coloured fruit and veg are so important; kale is the best source. Interesting research, reported in the journal of Epidemiology and Public Health has shown the great benefit of eating even more than five coloured fruits and salads. Those who ate nine helpings per day had a third less mortality from all causes. But, significantly, it didn't include those eating canned and frozen fruit; they had an increased rate of death, partly because of the added sugar and for other unknown reasons. Frozen fruit is generally reckoned to be healthy. That is just another of the interesting facts about strawberries; enjoy them fresh. Like all diseases, diagnosed early in its career of ruining your health, there's much to be done. Don't accept the rubbish that there's not satisfactory treatment and you must learn to live with the pain; they haven't read the research. But still, prevention is better than a cure, and that means recognising yourself the early signs and symptoms. Exercise, fatty fish and flax seeds, and strawberries is part of the anti arthritis solution. I have such fond memories of passing a sign on an English country lane. Pick your own strawberries. There's one disadvantage; they really don't keep well. 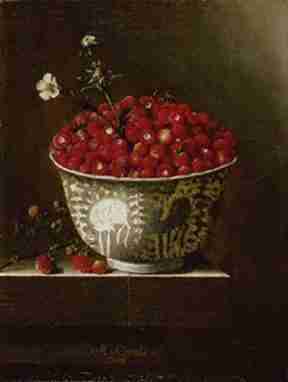 Pluck and enjoy those gourmet fruits, rather than fuss about the interesting facts. A friend wrote yesterday; there is a field near to us where the farmer grows strawberries every year, and he opens it to the public to come and pick their own. 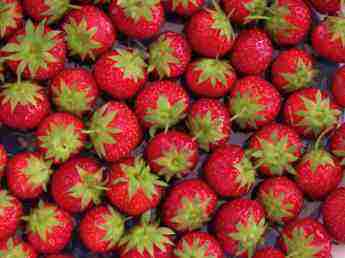 We go picking every June; and so yesterday we toodled over to the field where the air was heavy with the scent of sweet, ripe strawberries. While we berrying, it's allowed, we continually felt the need to sample the goods; and came home with an enormous bowl of strawberries. Some were enjoyed with cream, and the rest were frozen. We discovered last year that they freeze very well, which surprized us. In the middle of winter it's great to enjoy a strawberry pie. I had some fun photographing them; here is one of the pictures. I just love the rich reds and patterns. Making a compost pile is so rewarding and environmentally friendly; beats going to the gym for exercise. 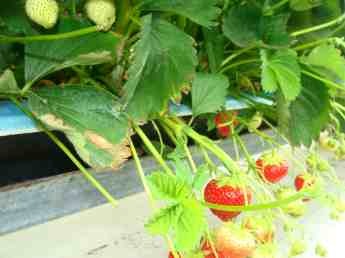 The most successful strawberry growing I've ever seen is in Holland. The berries hang away from the beds, free from the bugs that love the healthy properties of strawberries just as much as we do. World's healthiest foods has a wonderful page on the researched properties of flavonoids. Included of course are more interesting facts about strawberries, including that they are one of the top five sources of vitamin C; it's the lutein and zeaxanthin that protects the eyes. Hydrogenated foods and Margarine - UGLY and dangerous. Soup recipe demanded by the Maestro: Toscanini Celery Soup ... It composed his nerves!